Have you heard of Fandango? 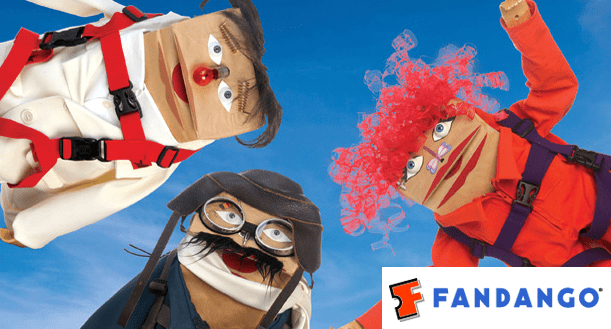 Have you seen the lunch bag puppets? Well we could care less about the puppets what we do care about is they have a pretty cool offer. If you try one of there offers like sign-up for Netflix they will give you two free movie passes. While we would rather you buy your AMC Movie Tickets here on Discount Movie Passes where you can save on AMC Silver Movie Tickets up to 40% we really can’t compete with Free Movie Tickets. 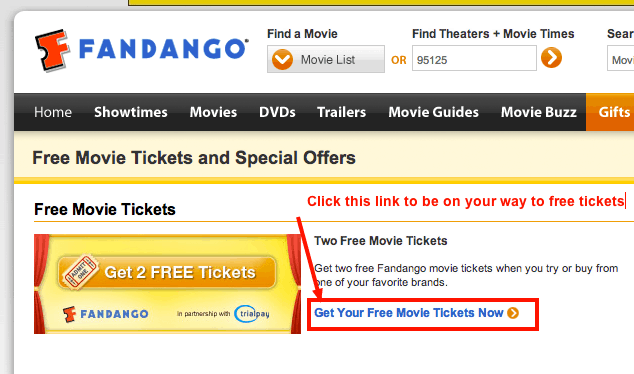 So if you would like to get your Free Fandango Movie Tickets all you need to do is click here and you will be on your way to seeing the movies for free.